You can obtain a VIP membership at time of purchase, and will not be offered at on-site registration unless specified otherwise. Gold VIP is only available while quantities last. 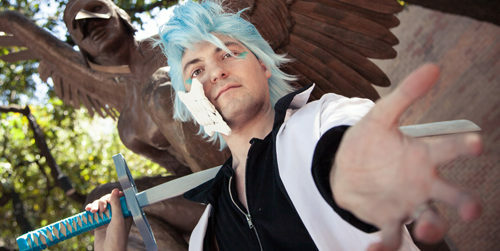 You can register on-site at Anime North Texas. Anime North Texas will not mail you your badge if you pre-register. You must pick up your badge at the Registration Desk during convention hours. There will be a Pre-Registration line that will have your badge collated by LAST NAME. You must have a copy of your Eventbrite e-mail confirmation (preferred), Eventbrite confirmation via the Eventbrite app, or a state or school issued photo ID. Need to know where to find the registration desk? Check out our handy floor-plan maps of the convention. This will show you where Registration will be located, as well as all of the other awesome activities at Anime North Texas! Children 11 and under can attend for free as long as they are accompanied by a parent or guardian with an Anime North Texas membership.